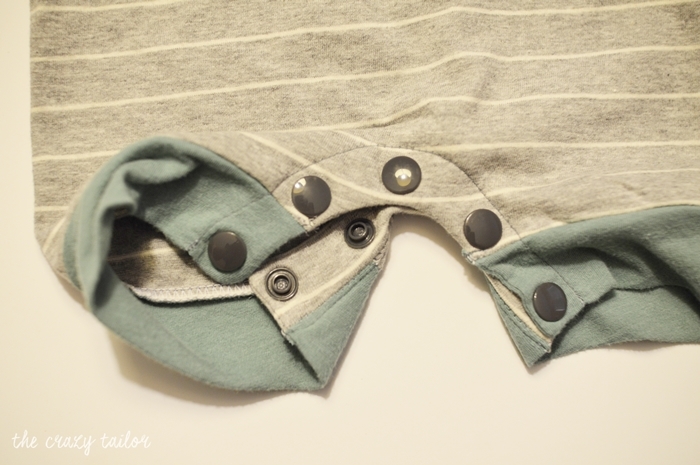 Lil' Rascal Romper Snap Placket Tutorial - Peek-a-Boo Pages - Patterns, Fabric & More! 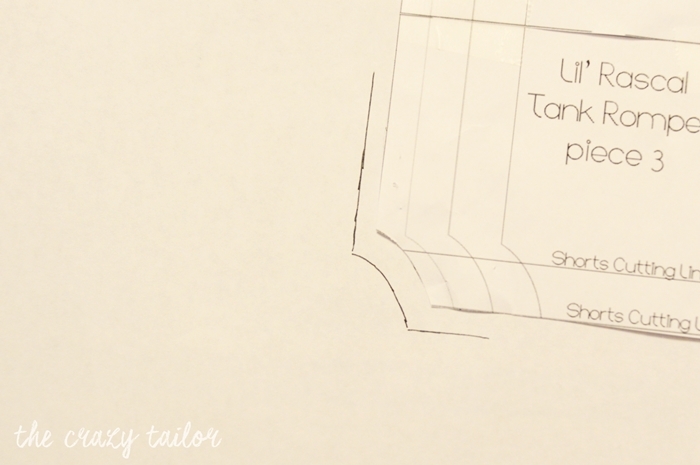 Now using the pattern piece, making a snap facing pattern by tracing around the fold line and curve/inseam to bottom leg opening. 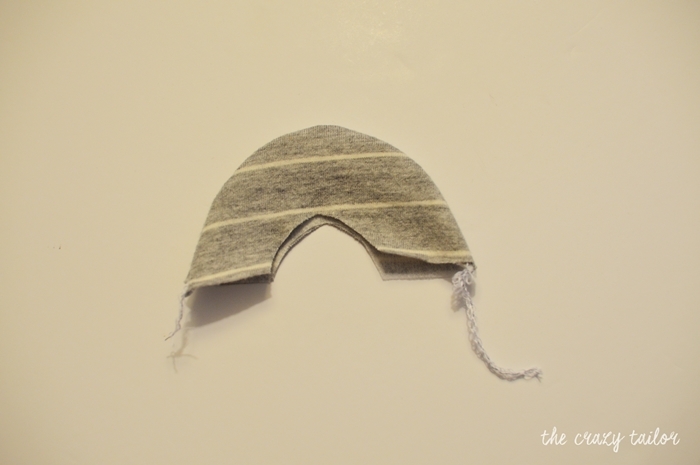 Then you want to make the facing piece about 1 1/4″ wide. You can eyeball this (it’s not an exact science!) 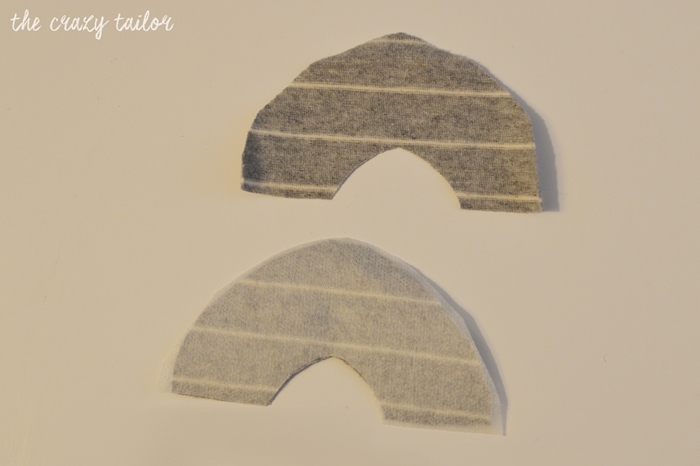 or use a tape measure to measure out 1 1/4″ from your inseam curve and line. Now I’m working with the shorts version of the romper, so if you’re doing the pants, then your facing piece will be longer than this little one! You can see my tracing here in the first photo and then the addition of the line 1 1/4″ away. 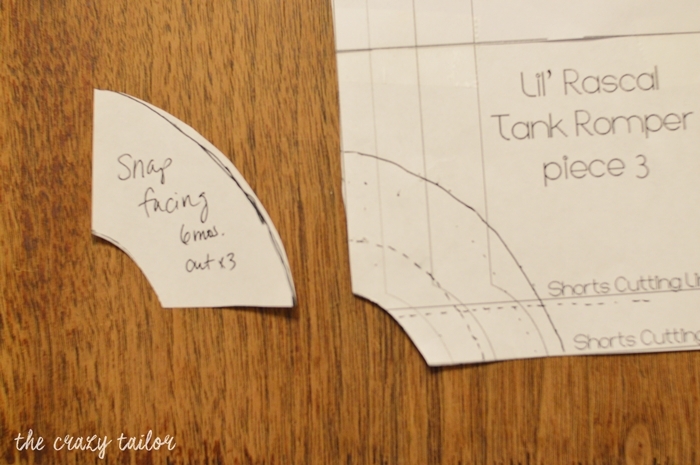 Cut out your new facing pattern piece. 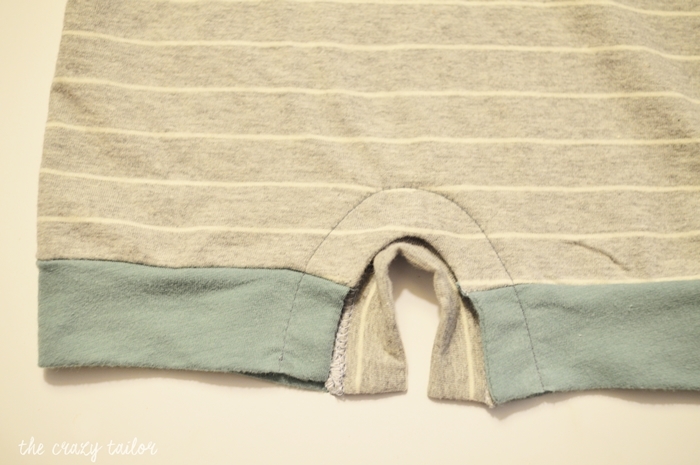 Sorry for the terrible photos guys…I was sewing at night (I can’t even remember the last time I sewed during the day!) and these photos are less than stellar! 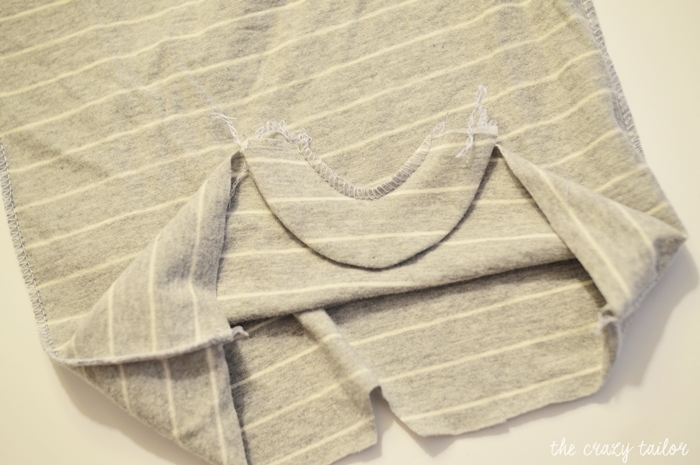 Cut two of your facing pieces out of the matching knit fabric, being sure to place them on the fold just like your original pattern piece was! 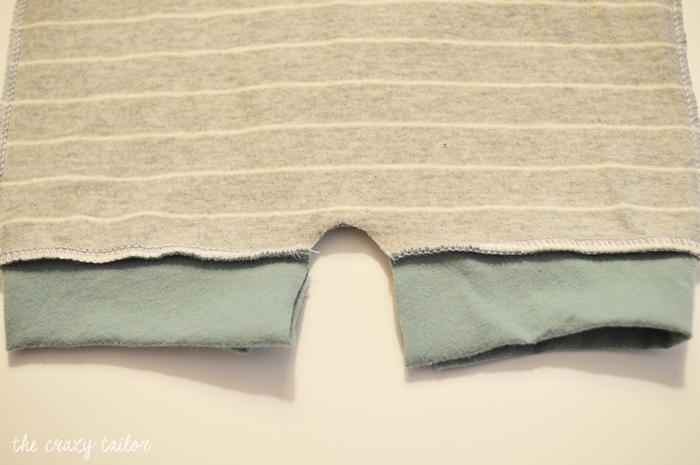 Cut one out of fusible interfacing and fuse that to the wrong side of one facing piece. 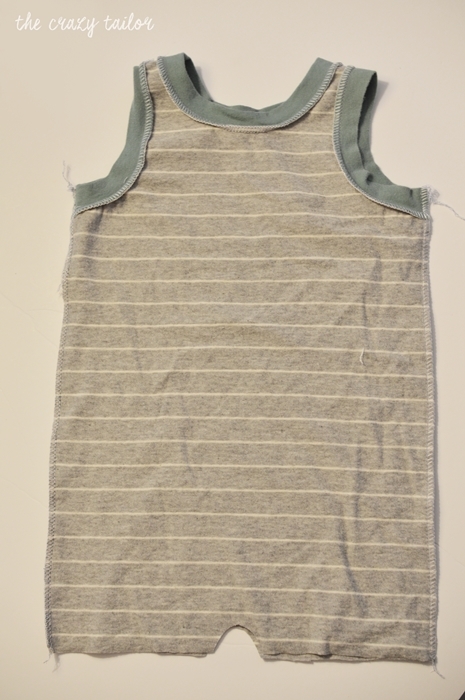 Now with the right sides together serge or sew at 1/4″ seam allowance around the outside curve. Turn right side out and press. Ok, now we’ll head back to the romper. Place the finished facing piece on the right side of the romper (front or back doesn’t matter for this romper since it’s the same on both sides. If you’re adding this to a different pattern with a distinct front and back, this would go on the front piece.). Match it up and pin. 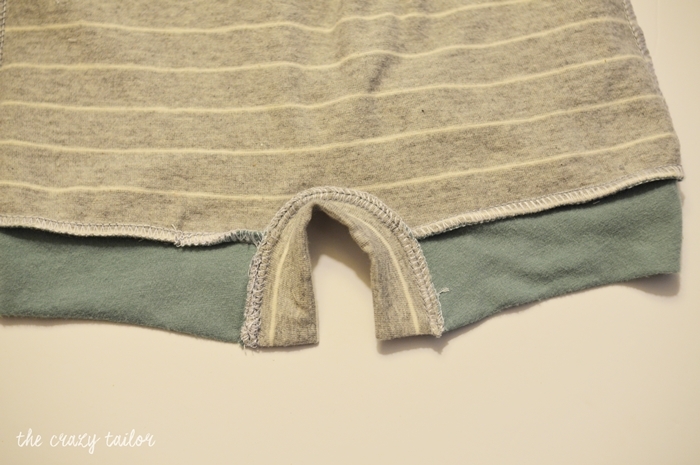 Sew (I serged) around the inner curve with 1/2″ seam allowance and then flip it to the wrong side and press. Mine was 4 inches. Add 1/2″ to that measurement. 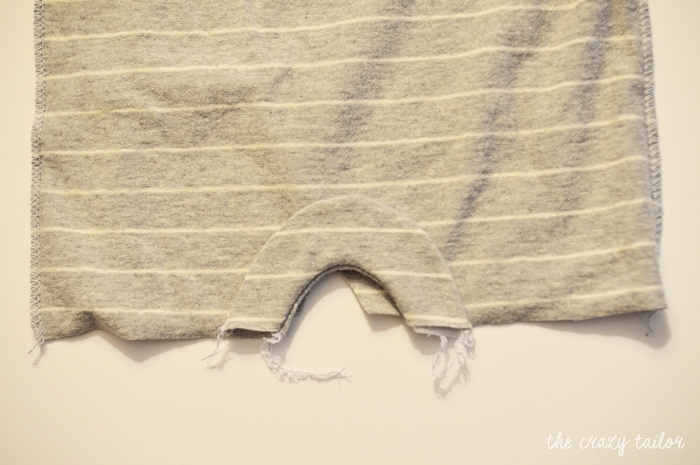 Cut a piece of matching knit to be your inseam measurement by 2″ wide. 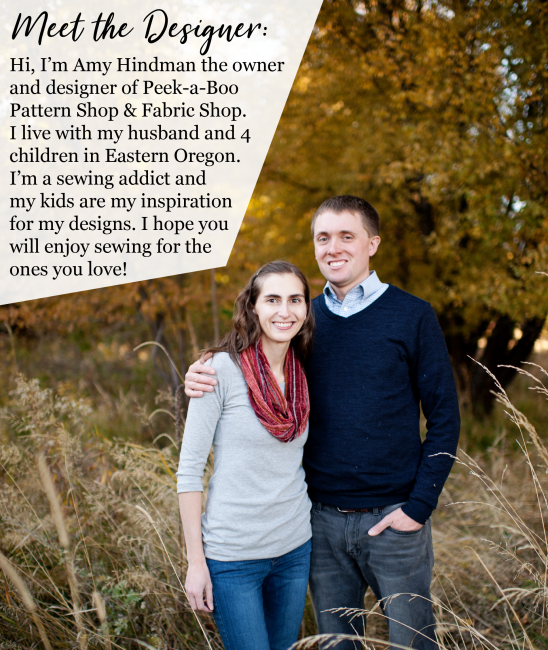 So for mine, I cut a piece 4 1/2″ x 2″. Have your stretch running the long way. 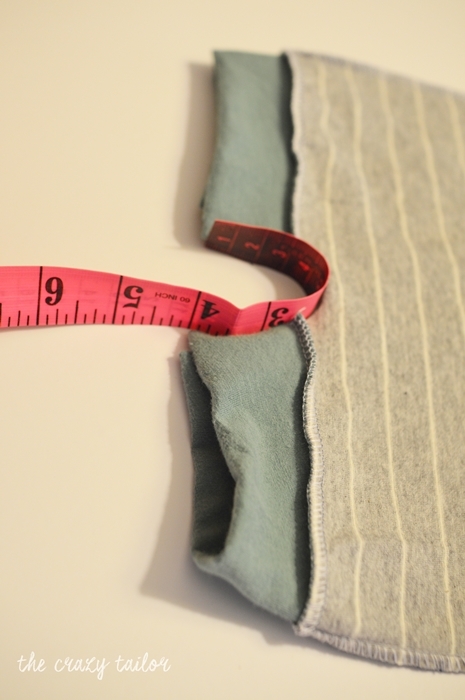 Also cut a piece of fusible interfacing 4″ x 1″ (or the original inseam measurement x 1″). 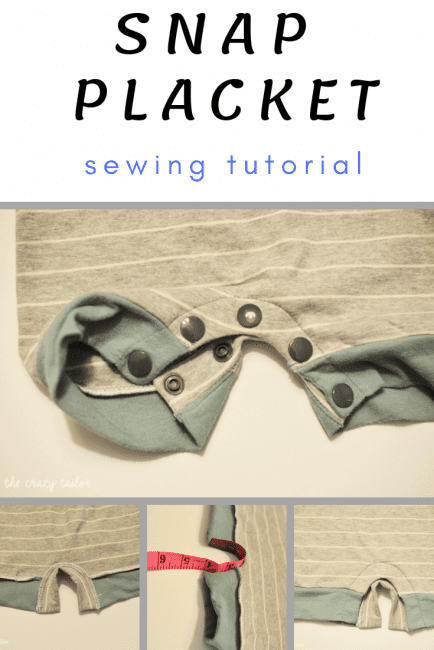 Fold the placket piece in half lengthwise (hotdog bun style) right sides together, and sew the short ends closed using 1/4″ seam allowance. 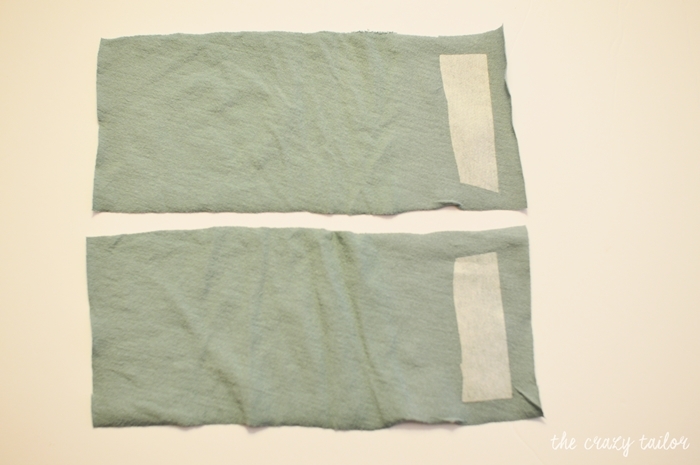 Fuse your interfacing to one side. Turn right side out and press. 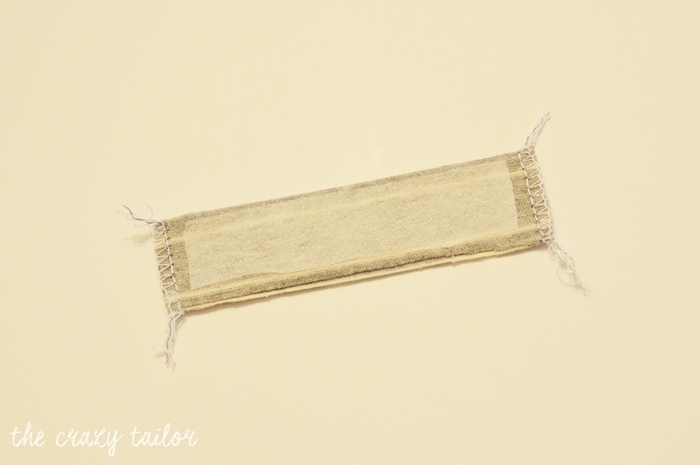 Pin to your unfinished inseam, matching the closed short ends of the placket piece to the bottom fold of the cuff, right sides together and sew using a 1/2″ seam allowance. 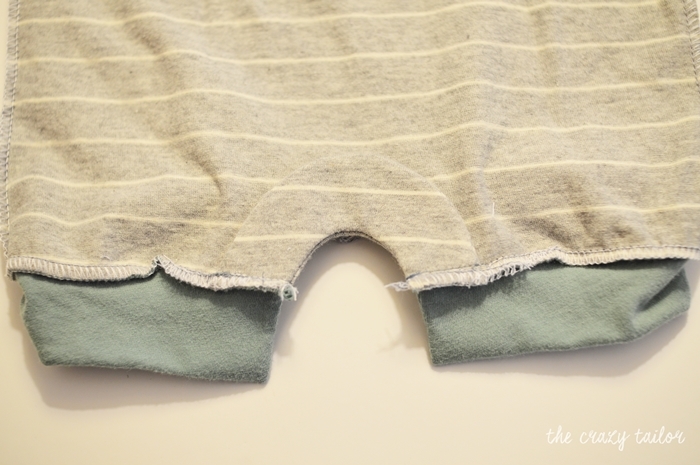 I did some optional topstitching on the front and back plackets, but that’s not necessary since you’ll be putting some snaps there which will hold everything in place. I chose to use 5 #2o kam snaps (#20), but this amount will change depending on what size you make and whether it’s the shorts or pants. Study this photo to be sure you put your snap pieces on correctly! And that’s it! This is my chunky monkey 6 month old modeling a 9 month size….but I think it’s time to work on some 12 mos clothes!!! 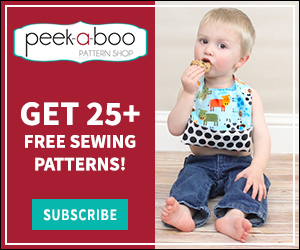 Previous Post: « Birch Fabrics Swan Lake & a Giveaway!